To many, the German War Machine is synonymous with rumbling armored monsters toting enormous guns: the ‘Panzers’ of war films and the popular imagination. Late-war vehicles like the Tiger I, Panther, and King Tiger tanks have gained almost mythological status amongst wargamers and modellers. What is less well remembered is the long process of trial and error that led to the development of these formidable weapons. 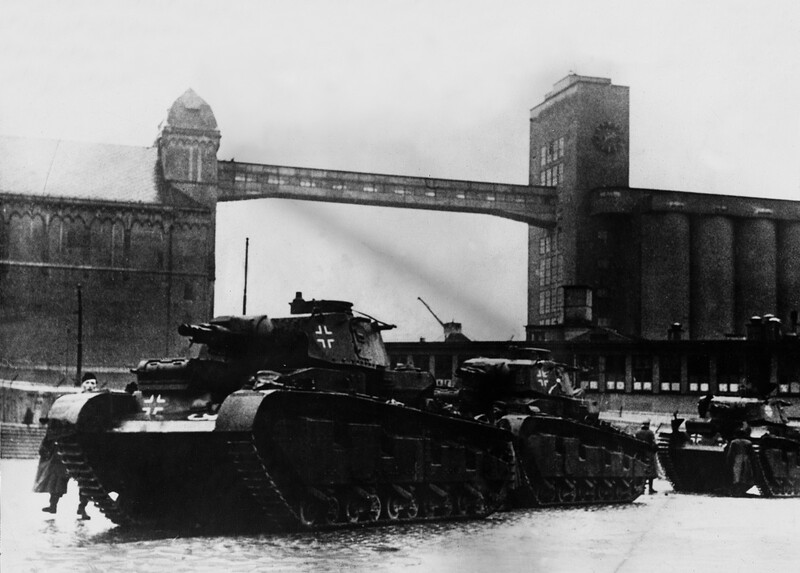 Hitler’s panzer armies did not spring fully formed from their barracks on the outbreak of war; in fact, in the autumn of 1939, they were struggling to maintain parity with the growing armies of their enemies. The new Panzer III and IV tanks that were to be the backbone of the German War Machine had suffered a long and protracted development process, and the armaments industry was falling badly behind on their delivery schedule. During the early stages of the war, therefore, Hitler’s armored divisions were forced to use obsolete or captured vehicles to make up for the lack of modern equipment. During the invasion of Poland, for example, only around 300 of the 2700 tanks assembled were modern Panzer III and IVs – the rest were a ragtag assortment of Panzer I and II types, as well as Czech model 35 and 38 light tanks. Even though the Poles could only muster around 900 tanks – most of which were outdated two-man ‘tankettes’ – the Germans still lost more than 800 tanks (including 320 Panzer Is and 260 Panzer IIs) during the campaign. Many of these vehicles were patched up and returned to their units, but around 350, including a high proportion of the thin-skinned Panzer Is, were damaged beyond repair. Panzer Is made up a fifth of all tanks committed to the invasion of France in 1940, and there were almost as many of this obsolete type as there were Panzer IIIs and IVs combined. In this campaign, the Germans succeeded through superior tactical doctrines, which gave them an edge even over the numerically superior, and arguably better-equipped, armored divisions of the French Army. 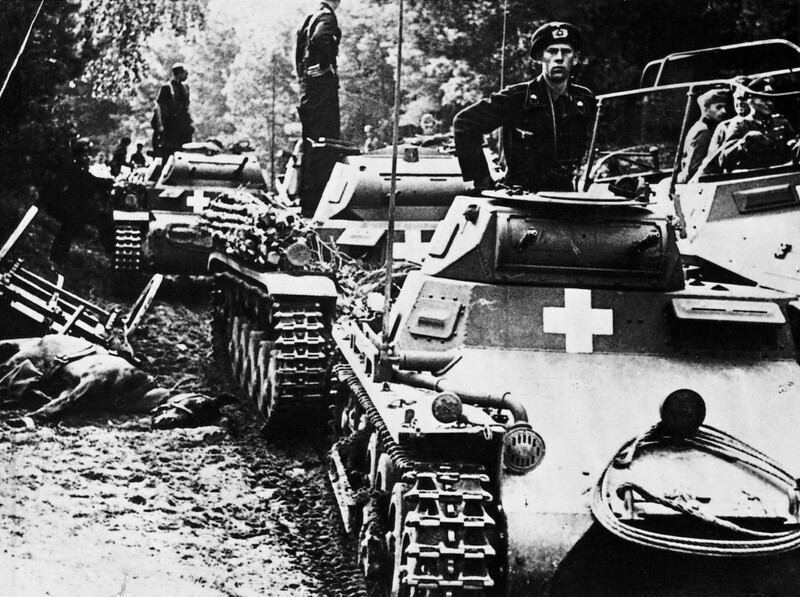 This ad-hoc approach to equipping armored divisions finally came undone during Operation Barbarossa in 1941. The Panzer force mustered for Barbarossa still included Panzer Is and IIs (although the Panzer I had now been mostly phased out, the II was still the most numerous type in the German inventory), as well as Panzer IIIs and IVs. It also included Czech model 35 and 38 tanks, a small number of French S-35s, and many specialized vehicles (such as self-propelled artillery or mobile anti-tank guns) that were built on French or Czech tank hulls. Over the vast distances that the German Army had to advance, this diverse set of vehicles frequently broke down and often could not be repaired for a lack of suitable spare parts. By the time the Germans reached the outskirts of Moscow in December, around 40 percent of Army Group Center’s armored vehicles were inoperable, either as a result of enemy action or because of mechanical problems. Furthermore, the arrival of the powerful T-34 tank demonstrated clearly that innovation was essential. Although it was the arrival of the T-34 that spurred Hitler’s ministers into action, small-scale development of heavier tanks had been underway for several years by this point. A multi-turreted design called the Neubaufahrzeug was developed in the late 1930s, but it was plagued with design problems and only five examples were built. Another project, begun as a consequence of experiences on the battlefield in France, would later bear fruit as the Tiger I. Both of these designs, however, were ‘heavy tanks’, designed to be built in small numbers for a very specific battlefield role – complementing, rather than replacing, older designs like the Panzer II and III. It was not until the development of the Panzer IV Ausf F1 and the Panther that Hitler’s panzer divisions began to assume their best-known form.